This post is from expedition leader Sangeeta Mangubhai. Besides the world class diving in the Phoenix Islands, this central Pacific atoll group hosts a number of regionally significant sea bird populations. Of the three atolls we have visited so far, Enderbury and Rawaki have been the most spectacular. The noise in the air is deafening with the cries of these birds from sunrise to sunset. The smell of guano can be pungent depending on the wind direction. 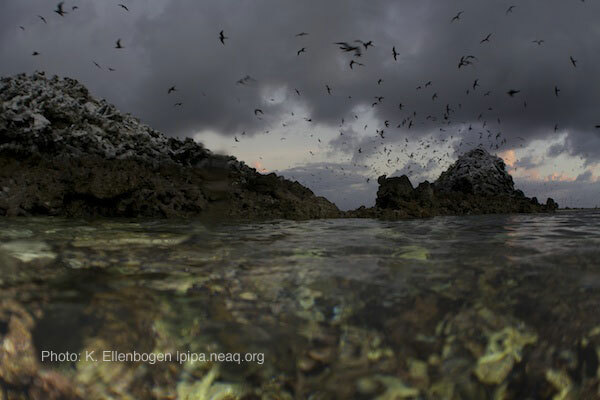 It is funny though – the smell of guano is burnt in my memory as a familiar smell that I strongly associate with being in the Phoenix Islands. So while the others hold their noses, I get somewhat nostalgic. During all our dives we see boobies, frigates, tropic birds and terns flying above us, flying low so that we can see their undersides and the fine details of their feathers. The frigates seem to wait until there are strong thermals in the air and then ride these above our heads most of the afternoon. 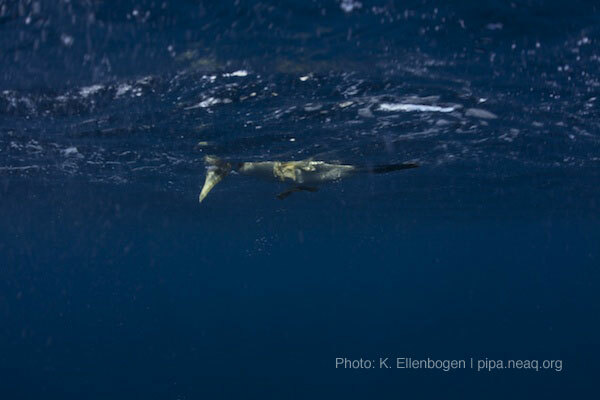 Sometimes we are lucky and a booby may decide to sit on our skiff and hitch a ride to our dive sites. I still remember from my trips in 2000 and 2002 how densely populations the flatter low vegetation islands are. Eggs, chicks and nests are scattered all over the ground so that you cannot walk in a straight line. Through a massive effort in 2009 there has been a lot of resources put into eradicating introduced species such as rabbits or rats on the islands. 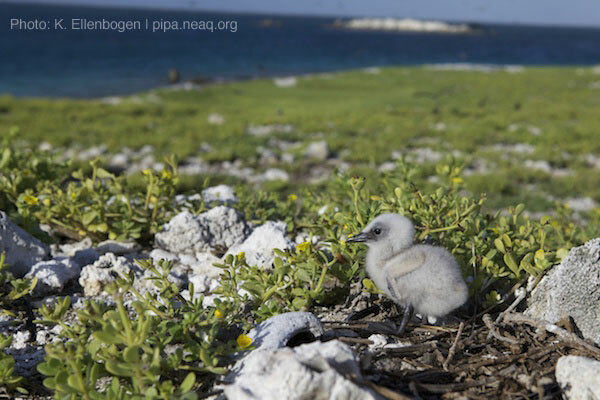 There is now tight biosecurity protocol in place for visiting the islands to ensure these sensitive seabird populations are protected. While we are too busy with a full marine agenda to visit any of the islands, we can still appreciate these seabirds soaring above us during each of our dives.